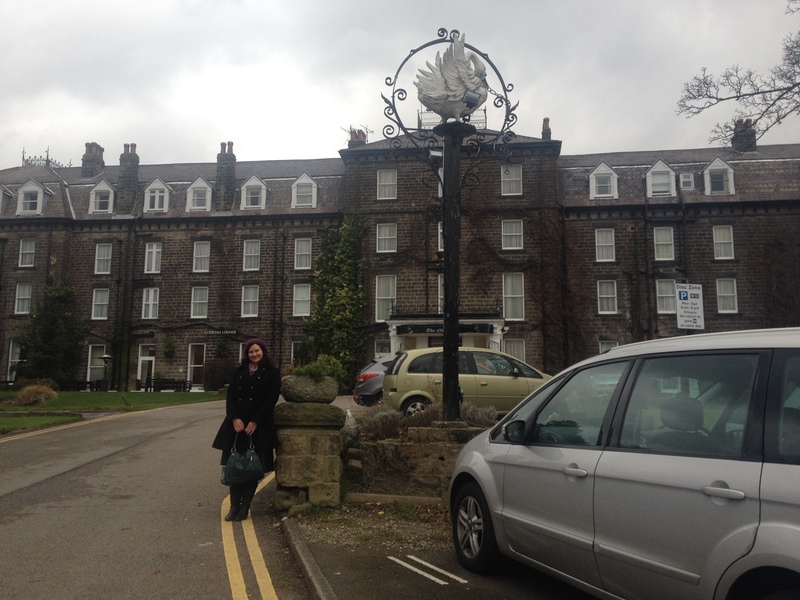 So, as Mel mentioned, I took a train up to Harrogate on Monday to see at least a little part of Yorkshire. 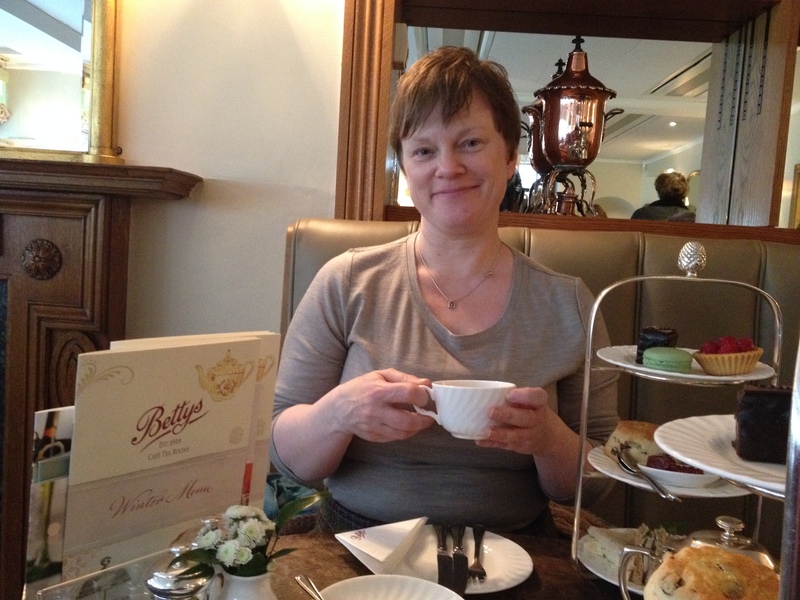 Ever since I moved, Mel has insisted I go to Harrogate but when I knew that she was going to be able to show me round, I knew I had to wait till the very last minute! I knitted on the train up, of course, and was met at the station by the lovely familiar face of Mel! And then wandered around the town. It’s so pretty! 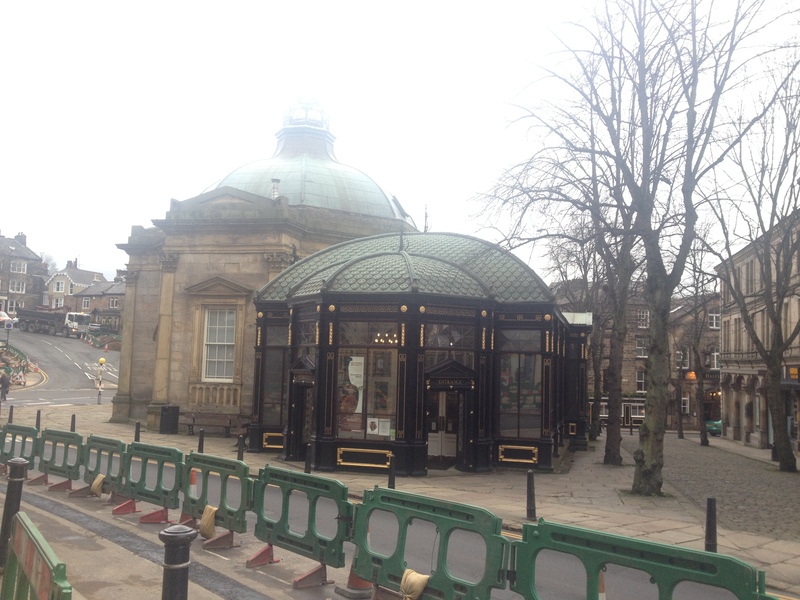 (ignore the roadworks in front) – This is the Royal pump rooms. Sadly, I was too busy diving into all the yarn to take photos in Baa Ram Ewe, so you’ll just have to enjoy Mel’s, but I loved it! I got some lovely Titus in Eccup, which is apparently named after a Reservoir. See what you learn going to a yarn store with a local! I shall be making Catkin, but Kate Davies. I eyed this off in Edinburgh, but couldn’t decide on a colour without an opinion, and knowing it was a Baa Ram Ewe yarn, I wanted to get it there! So Mel and I headed to a pub (course) and I even had some beer, though it was Frulli, which is a fruit wheat beer, so not sure it counts in Mel’s eyes. But I also tasted some stouts and porters (ew) and the lovely bartender gave me some samples of some lighter beers on tap, one which I quite liked that smelt like passionfruit (not even joking) and one which I would VERY happily drink called Maisel’s Weisse. 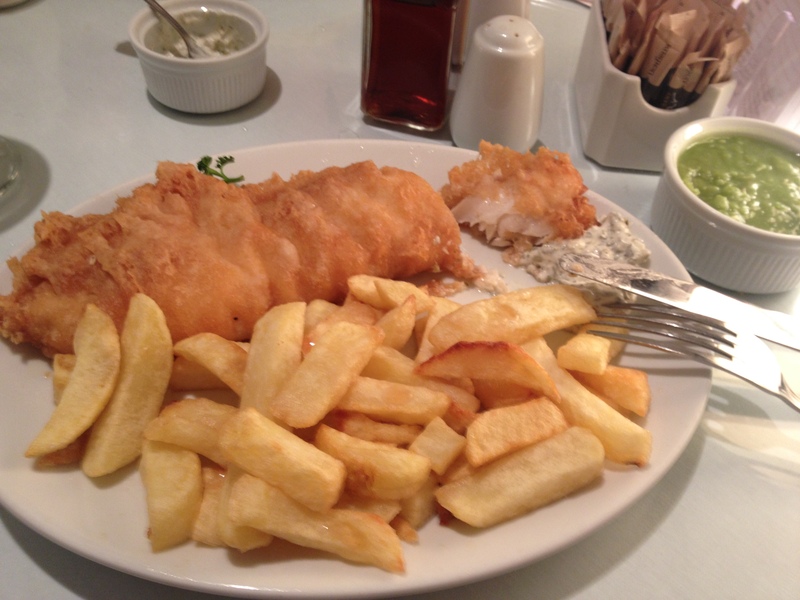 After a few drinks I talked Mel into fish and chips. And she led us merrily to a seafood restaurant she used to go to with her sons. But the best thing? 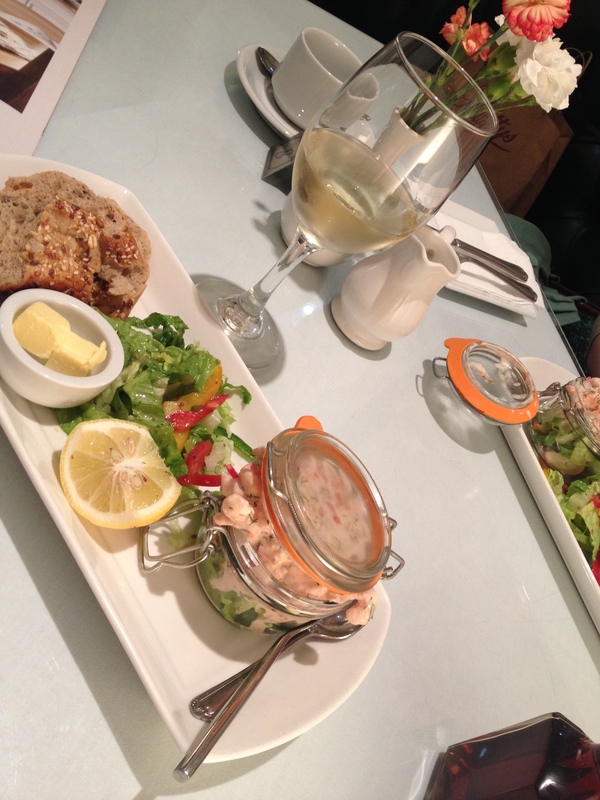 the entree – we both got the Prawn Cocktail and my goodness it was good! And adorable too! So then we headed back to the train station where I got the lovely surprise of sharing a train with Mel to Leeds before we went our separate ways. I pretty much crashed out on the train back. It was such a lovely day, with a dear friend in a great town. You all need to go visit!! Sadly I left my darling Richmond Knitters this year to go and have adventures on the other side of the world. And I miss you all so much! Even though she had lived in London before, we decided we would go on a yarn crawl. Like a pub crawl, but woolier and with less chance of a hangover. 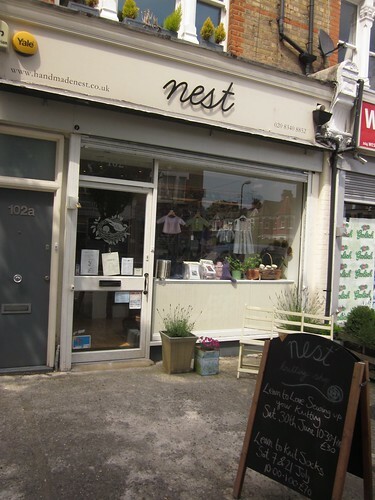 We started at a little shop that’s walking from me in North London called Nest. I realised on our way there that i’d actually walked past it before and not gone in! BAD knitter! 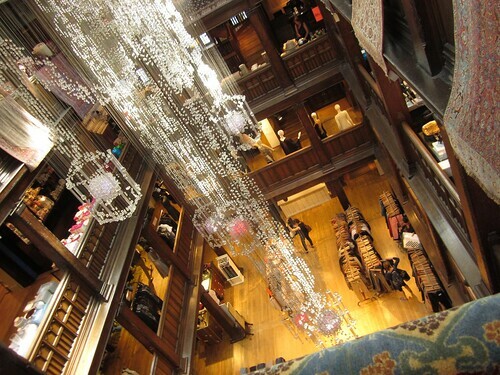 It’s a gorgeous little shop and they stock a lot of lovely (and reasonably priced!) yarn! Sharon will have to jump in here and show you the goodies she bought, but she was very restrained! just one skein of laceweight! 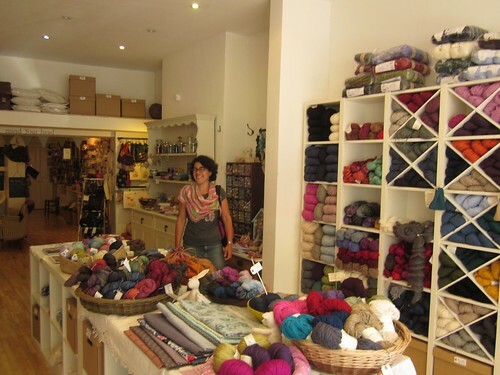 A knitter in a yarn shop – far happier than a kid in a candy store! Moving on, we were running short on time, but Liberty is a must, as much for the building itself as for the FULL collection of Rowan. Rowan may be problematic, but it is still so lovely and impressive to look at the full range in one place. Just a BEAUTIFUL historical building. 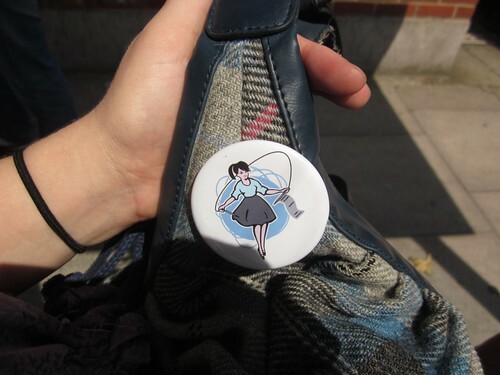 Sharon also bought some buttons here whilst i snapped up my ONLY purchase for the day (so restrained!) which was some Cotton Glace on sale (£30 or so for 10). I’ve already started putting it to good use as a Petal Pullover. There was one more compulsory stop before Sharon had to meet her hubby, so we crossed the river and popped into I Knit. For those who don’t know, it’s the worlds only licensed yarn store… yep, you can buy a beer while you shop for yarn – sounds like Sharon’s kind of place! I Knit has a resident chihuahua, Pandora, who has recently acquired a little friend! I’ve forgotten his name in true distracted-by-the-yarn style, but he was SUPER cute and we both got lots of cuddles. he also thought my toes under my maxi dress were quite fun and the staff are working on making sure he knows yarn on bottom shelves is for customers, not him! The shelves are a bit empty since all the in-store dyed yarn was on its way to wool-fest – which is where Sharon was also headed, so not TOO much of a loss. We had so much fun, and it was wonderful to have a whole day to talk with another hard-core knitter – haven’t found any in my day to day life here yet. My Richmond girls started as a group to get together and share a hobby with, but honestly, the core group are amongst my best friends, and i miss that crafty clique! Now I can display my loyalty everywhere! Love you guys and MISS YOU! Happy 10th Birthday Richmond Knitters!